There are so many unique and creative financing options for those who really want to buy a home. Even if you have bad credit, there are options out there available to you. If you are looking at the rent to own financing option to purchase a home for sale, then this article will offer you several benefits. This article will cover the topic of borrowing directly from banks in order to obtain a mortgage loan required to make the final purchase on the home once the rent to own financing contract has run its course on the renting portion of the contract. You will be given a list of pros and cons which should allow you to better decide whether to borrow directly from a bank with a traditional mortgage or rent to own directly from the homeowner. 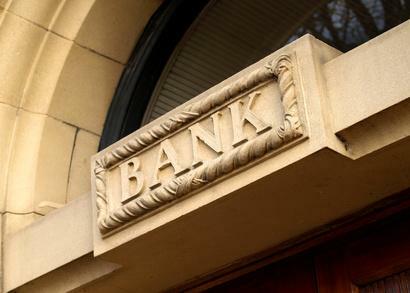 Reliability: There are not many financial institutions that are more reliable than banks. You may chuckle under your breath considering the past few years filled with bank bailouts end near runs on these lending institutions, but federally insured banks still remain the most secure way to borrow and save money. Insights: Particularly with local banks, and or credit unions, these bank professionals can often give advice and/or insight to the local real estate market. Because they work on a daily basis with many future home buyers like yourself as well as home sellers, they have a really good idea of what the market trends and happenings are. Convenience: Essentially, national banks are built around convenience. If you are considering the rent to own finance option for your home, this convenience may play a paramount role in your ability to gain a mortgage. Why is that? Because the bank will have to play the intermediary role between you and the home seller. Maximizing convenience for both you and the home seller will allow a faster process and a smoother transition into the purchase of the home. Not as many options: One of the major problems with lending from a bank to pay for a rent to own home for sale is that banks are very much unlike brokers. Banks are not interested in finding the best loan for you, they are interested in you loaning from them. Brokers will shop around for the best loan and try to get you a really good deal, but there is no incentive for a bank to try and work with another bank to get you a loan. Banks may also only be qualified to offer certain types of loans for particular types of properties of which you are not interested in. Being limited in this way will cause you to waste time and possibly money if you are forced into a loan that is more expensive than if you had just hired a broker. Delays: Banks have almost no financial incentive to hurry the process along. Think about it this way, many banks are run similarly to the way that McDonald’s is run. They are staffed with hourly workers that receive no incentive for processing loans or mortgages faster than they need to. If you are in a rent to own home, you need speed on your side because your contract could run out before you are able to obtain a mortgage to purchase the home. Now that you have seen a brief overview of the pros and cons of lending directly from a bank to purchase a rent to own home for sale, you can confidently move forward knowing that you’re armed with the knowledge necessary to get the best deal.